In the fall of 2010, Niagara College began a Brewmaster and Brewery Operations Management program. It is the first of its kind in Canada. It is a two year program and this past July was the graduating ceremony for the very first students of the program. I have been following the blog, 600 Days to Brewmastery, by Alan Brown who is a "mature" student in the program and now in his second year. He has a good sense of humour, is a good writer, and I enjoy hearing the day-to-day teachings of the course. There are a lot of math formulas, many which look more like the formula for a rocket fuel than for beer. It's worth reading. It is a hard program to get into as there is room for only 24 students, so the waiting list is a little long. In its short existence, it has even reaped some awards for the college. This year it took gold for its Butler's Bitter in the bitter category at the 2012 US Open Beer Championships. 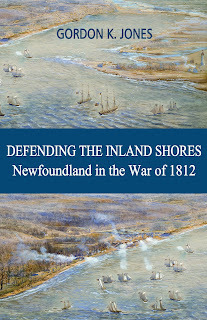 It was made with items local to the Toronto area to commemorate the 200th anniversary of the War of 1812. I tried it this past summer at the Toronto Festival of Beer and it was delicious. They also took gold for their Helenboch Beer in the Munchner Helles category and a few silvers. In fact, they placed sixth overall of all the breweries that were in the competition. The students are definitely learning quite well! Now I see that their First Draft Campus Ale, which took Silver in the English Summer Ale category at the same championships above, and First Draft Campus Lager are now on sale in 6 packs at the LCBO. Time to give them a try! I like the bottles which has the labels printed onto the glass rather than a label that has been glued on. I'm starting with the Campus Lager, which pours golden in colour with a nice white head. My first impression in the aroma is a little hop note. On the back of the battle is printed "Don't worry, be hoppy", which makes me look forward to my first sip. Of course, there are lacing along the side of the glass as the college would ensure that only malt is used in the making of the beer. After all, this is a craft beer course! The beer starts a little light in taste but finishes with a nice short hop bitterness in its finish. This is a very nice lager, that I would not hesitate to buy again. In fact, this is going to join my regular lager rotation in my fridge! Next up is the Campus Ale. Going in I will say that I am not a big fan of summer ales. They seem lighter in taste and hops than a bitter, or pale ale. I will say that I am going in with an open mind. The beer pours amber in colour. There is a good, slightly off white head. The beer starts a little watery in mouthfeel but improves immediately. This occurs with every sip. It is not a strong tasting ale, the kind that I enjoy, but is a decent tasting beer. There is nothing offensive in the beer, not much in the way of hop bitterness but an OK ale. The U.S. Open Beer Championships categorize an English Summer Ale as " light straw to golden colored with medium-low to medium bitterness, light to medium-light body, and low to medium residual malt sweetness. The overall impression is refreshing and thirst quenching." This beer definitely fits that bill. It's not a beer that I would buy again, although it's an obviously well-made beer. It's just not a style of beer that I enjoy. Many, I believe, would enjoy this beer and I will have no problem in drinking the rest. I think it's a great idea for future Canadian brewers to have a school to learn their trade. 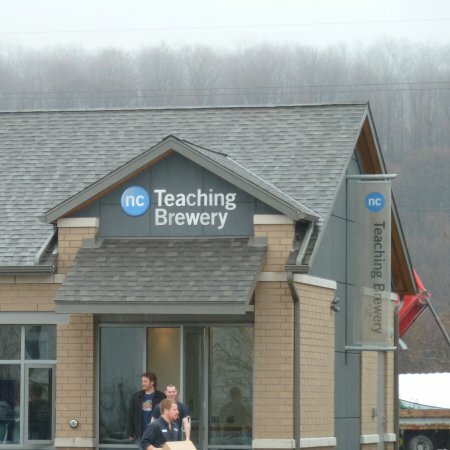 This college is making some great beer and making the future of the Canadian Craft Brewing industry very bright indeed!